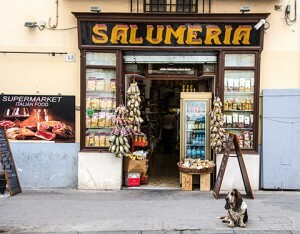 Do we stay in Sorrento? Do we venture out of town to navigate the Amalfi Coast? 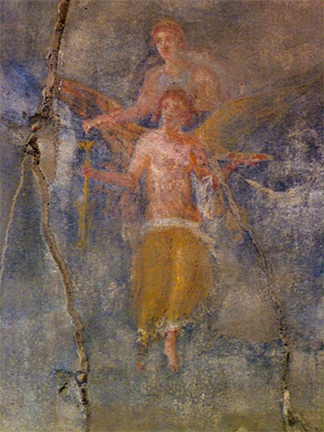 Do we explore some of the most intriguing places on earth, the ruins of Pompeii or the smaller and less-visited ruins of Herculaneum or Oplontis? 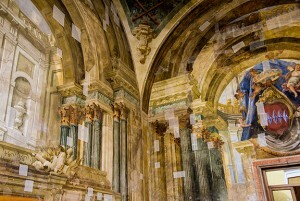 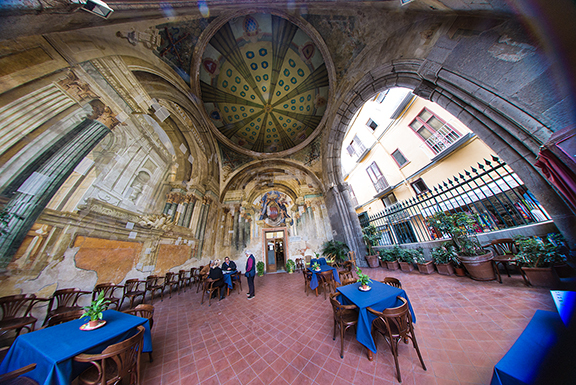 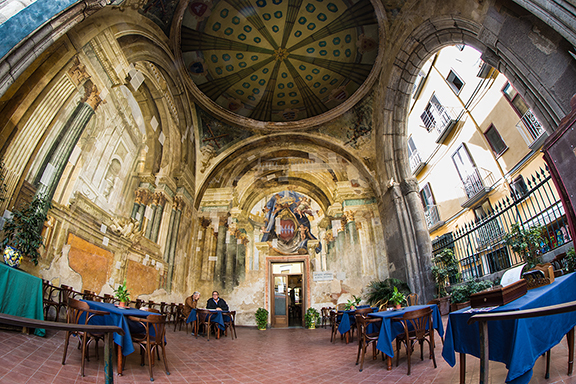 Do we head further north to the big city of Naples? Or do we hop on a ferry and go west to the charming island of Capri? 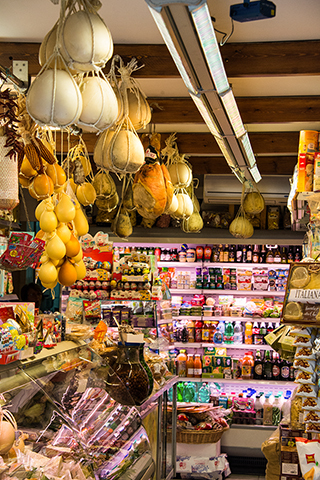 There are no bad choices in Sorrento, which is why we come back time and time again. 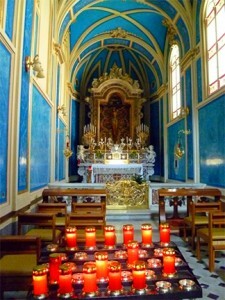 We were most recently here on April 9; you can read my blog entry for that day for more comments. 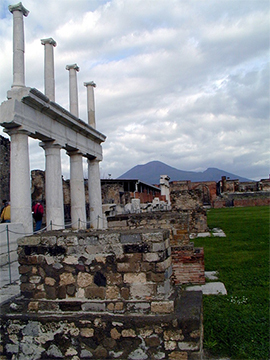 Below, a section of the formal city of Pompeii with the cause of its destruction–Mount Vesuvius–looking over its shoulder. 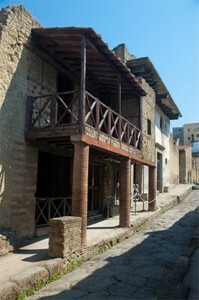 Below, a two-story apartment from Herculaneum, another settlement destroyed by the eruption of Vesuvius in the year 79.